Complex Says: We know what you're thinking. "The Great Escape...didn't that involve Nazis? Well before 1961?" Yes and yes. The TR6 was painted German Wehrmacht gray and disguised to look like a period bike. Some period 1938 BMWs (with sidecars, even) also show up in the film. 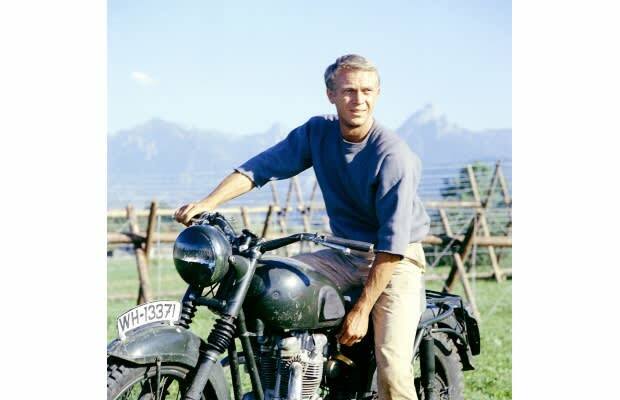 McQueen was so badass playing Hilts, he kept outrunning the less-skilled German soldiers who were chasing him. As a result, through clever editing, McQueen (in German soldier costume) chases himself on this bike at one point.